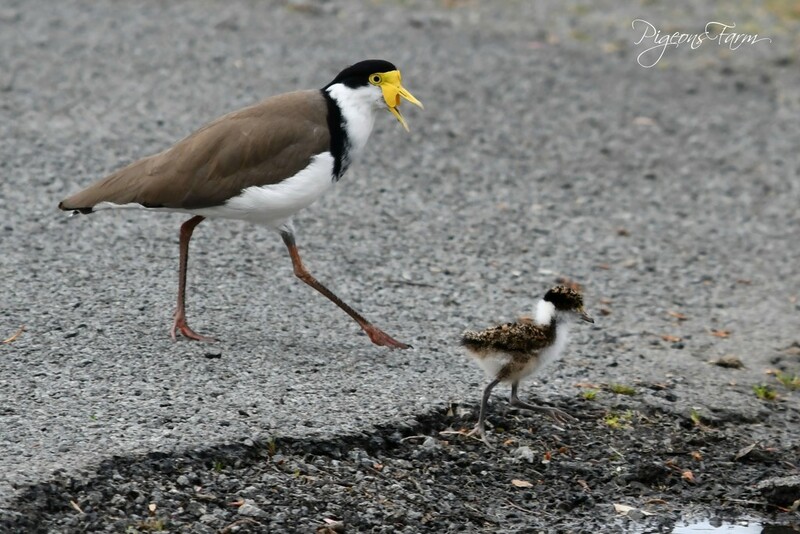 The noise the adult Masked Lapwing made was so loud. It is what alerted me to the chicks :) There were three chicks and two adults. They were extremely protective of their young. We have these birds around our property, but this is the first time I’ve seen a chick. Oh wow, what a great shot. fav. This is a wonderful capture! I love it. Fav. yes the plovers are very loud and protective as their nests are on the ground and they don't fly that well, so they seem to make up for it with their voice :) lovely to see a healthy chick! Terrific shot of parent and child! Great story telling photo. That poor little one is getting an earful! Great capture of these two. It's unusual to see them with their chicks, so well done. Fav.